The best time to visit Rome is during the spring season, April to June, when day time temperature tends to be around 64°F (18°C) and are pleasant for sightseeing. Winters in Rome are typically cold and the average daytime temperature in January tends to be around 54°F (12°C). Rome is also known to have snowfall during its winter months that extend from November to February. Rome extremely hot summers extend over the months of July and August, when average daytime temperatures in the city is around 95°F (35°C). The month of August should be avoided as the city shuts down as most residents go away for a holiday. Stay close to this small city if your main purpose is a pilgrimage to the Vatican City. You may choose from the many hotels located in the area. You will not find many dining or shopping options here though. If you don’t consider that an inconvenience you could base yourself at one of the Vatican city area hotels. If you are looking for a bit of atmosphere on their Roman vacation and wanting to immerse them in the culture and ambience of ancient Rome, often choose to stay in the hotels located around the city’s commercial Via Veneto area. The area is not well connected by transport links as the streets are too narrow for buses. The hop-on hop-off sightseeing buses will stop a few minutes walk away from both Piazza Navona and the Pantheon. Walking is the best and only way of getting around this area. 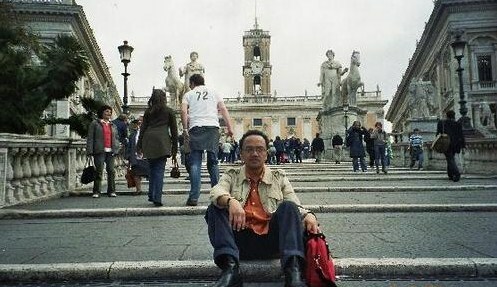 The Spanish Steps is an important landmark in Rome. The area around the Spanish Steps and the Piazza del Popolo hosts some of the most upscale hotels in the city and is also known for its many fashionable luxury goods stores. If you enjoy shopping or even browsing at such stores and have a passion for luxury hotel rooms then this area is a good fit. There are many discount hotels and budget accommodation options surrounding the station. These hotels, most of them are 3-star are quite popular to back packing tourists. In this area, you will find modern sites, such as Republic Square, characterized by the ancient and fascinating Naiadi Fountain. Visit prestigious and historical sites such as the Baths of Emperor Diocletian and the Basilica of St. Mary of the Angels. 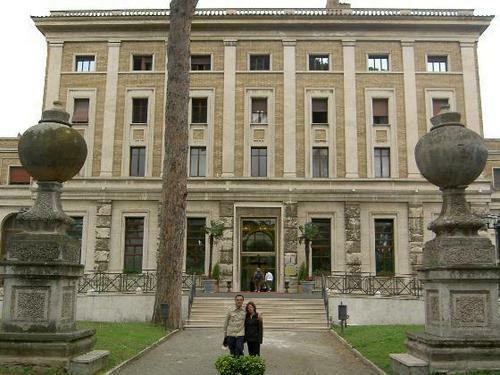 Address: Piazza di Cinquecento in Central Rome and accessible to the old city. This is a world famous sight of Rome originally built as a temple of the Gods by Hadrian in 120AD. The Pantheon, which consists of a dome supported by Corinthian pillars, also contains a sundial with which the Romans used to measure time and the dates of the equinox. Other sites within this landmark include the Carafa Chapel or Capella Carafa and the tomb of Fra Angelico, an Italian Renaissance painter. The Trevi Fountain is adorned with statues of Abundance, Agrippa, Salubrity, the Virgin and Neptune. It is one of the most visited and well known sites in Rome for it is believed that if you toss a coin into the Trevi fountain you are ensured a return to Rome. It was estimated that approximately €3,000 are thrown into the fountain each day. The Colosseum, originally the Flavian Amphitheatre, is the site of the famed gladiator battles in Rome, which were witnessed by at least 50,000 enthusiastic spectators. The spectacular architecture of the Colosseum features Doric, Ionic and Corinthian columns along with an underground network of cells and corridors. This grand structure continues to attract tourists until today. The Spanish Steps or Scalinata della Trinità dei Monti are a set of steps built in 1725 and extend from the Piazza di Spagna to the Church of Trinità dei Monti and are a popular congregation spot in Rome. These steps afford easy access to the Via Condotti, a busy and fashionable street and the centre of fashion shopping in Rome. 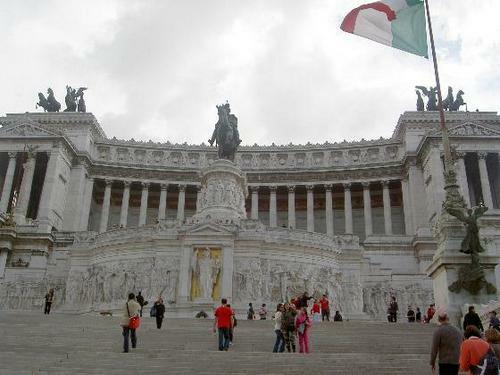 Capitoline Hill is one of the seven hills of Rome and the original capital of the city that continues to host the seat of Rome’s government until today. This hill contains several landmarks like the Michelangelo designed Piazza del Campidoglio, which is surrounded by three palaces, the Palazzo dei Conservatori and the twin buildings of the Palazzo dei Senatore and Palazzo Nuovo. These buildings also host the Musei Capitolini, which is home to famous statue of the Wolf and Romulus and Remus, the twin brothers who are known to be the founding fathers of the city of Rome. The Roman Forum is a must-see attraction on your visit to Rome. It is a rectangular plaza surrounded by the ruins of several ancient government buildings that lies in the small valley between the Capitoline and Palatine Hills. In this ancient section of the city, you will find other ruins like the Arch of Septimus Severus, the Temple of Antoninus and Faustina, and the Arch of Titus, which are worth visiting on your next vacation to the city. The Vatican City with an area of 44 hectares and a population of a little over 800 makes it the smallest independent state in the world by both area and population. Some of Rome’s famous sights lay within the Vatican City, which is the Papal abode and a walled enclave located within the city limits of Rome. You will find within the city, sites like the Sistine Chapel, which is famous for its ceiling that features artworks. Aside from its spectacular ceiling, the chapel also sport frescoes that were created by other famous artists. An artwork created by Michelangelo, the famous painting of ‘The Last Supper’ should not be missed at the Sistine Chapel. The Vatican City also includes the landmark attraction of St Peter’s Basilica, the Apostolic Palace, Vatican Museums along with various other buildings, and the Sistine Chapel that I mentioned earlier. There are other tourist attractions in Rome that you may want to explore. Some of them are Circus Maximus, Forum Romanum, Villa Borghese, Arch of Titus, Baths of Caracalla, Campidoglio, Castel Sant'Angelo, Arch of Constantine, Victor Emmanuel Monument, Imperial Forums, Arch of Septimius Severus, Piazza Venezia, San Giovanni in Laterano, Theater of Marcellus, Trajan's Markets, Capitoline Museums, St. Peter's Square, Piazza Barberini, Baths of Diocletian, Santa Maria Maggiore, Piazza Farnese, and Porta Maggiore. Rome’s airport is well connected to the heart of the city via an express train that departs on the hour bound for the Termini Station. The airport is also connected by bus and taxis to the city centre. Just a piece of advice in taking a cab; look for metered taxis from the Fiumicino International Airport in the same manner with those coming from the Termini Train Station. Unscrupulous touts and taxi drivers are a major problem in Rome and visitors are warned to be cautious while hailing cabs for their journey into the city. Rome is also equipped with an extensive public transport system that is made up of a network of buses, trams, and the metro. Public taxis that can be quite expensive to travel in and are generally difficult to hail on the street. All local public transport is integrated in Rome. You have to purchase your tickets before you board any public transport. Most people will have a pass of one kind or another. Tickets for both the bus system and Metro can be purchased from tobacconists, bars, or vending machines at metro stations and major bus stops. There is a flat fare for both buses and metro whether you go one stop or to the end of the line. There's one thing I regret after my holiday. I just cannot believe I missed the Gelato that is so popular and has a long tradition in Italy. I can always come back, I said to myself. Yes, I will, not only because of the Gelato, but because to me, Rome is so different from any other countries I have been. Now, my dear travellers, are you ready for this big trip to Rome? You don't want to miss this, right? See some photos I took during my journey. It is not too many though. Wow! what can I say? what a lovely Rome! Great captures! Great images! and yes, one enjoyable experience you have! Regards! Hey Ric. You really made me feel proud. Thanks for your very kind words. hi freddie, how i envy your extensive travel experiences. Rome is sure a beautiful city- never been there, only been to beautiful venice..
the steps of king E must be a long one, i wont climb that one.. Awesome! that is how I describe Rome. On your next trip to Italy, don't miss Rome and Pisa. It's worth a visit. 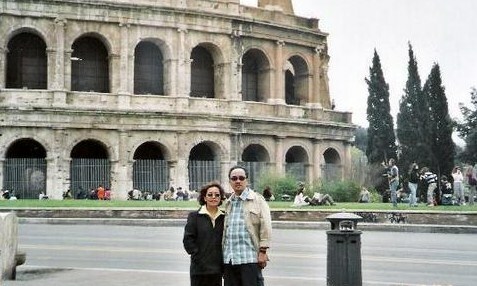 I agree with you with Capitoline Hill and Colosseum as they are equally amazing. Thanks Wan. Nice Blog! I really took time to read most of your article here upon discovering it thru bloggers site. I also consider Italy as one of my greatest travel accomplishment, I never thought I could step here. 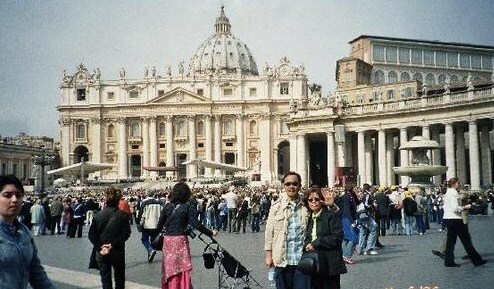 It was really a great opportunity to visit the so called Eternal City. Hello Karen: Thank you for all the nice words. I appreciate very much your comments. I just hope that one day you will be a part of this travel blog. Salamat. Hello Han: Thanks for dropping by. I appreciate your comment. This is one of the places listed on my bucket list. I would love to go someday. Thanks for sharing.